My review copy: Print copy provided by the publisher in exchange for a fair and honest review. Back in Oregon, Kelsey tries to pick up the pieces of her life and push aside her feelings for Ren. Kelsey Hayes's eighteenth summer was crazy. The kind of crazy nobody would ever believe. Aside From battling immortal sea monkeys and trekking the jungles of India, she fell in love with Ren, a 300-year-old prince. When danger suddenly forces Kelsey on another Indian quest, with Ren's bad-boy brother, Kishan,the unlikely duo begins to question their true destiny. Ren's life hangs in the balance--so does the truth within Kelsey's heart. Tiger's Quest, the thrilling second volume in the Tiger's Curse series, brings the trio one step closer to breaking the ancient prophecy that binds them. I felt myself blossom and grow with new vigor. Ren was the sun, and the tenderness he showed me was life-giving water. A dormant part of me burst into pulsing life, stretches deep rooty fingers, opened thick green leaves, and shot curling tendrils outward drawing us closer together. Kissing my fingers, Ren looked intently into my eyes and said, "Iadala, you will never lose me. I'll always be near you. Give me a chance, Kells. Please." I planted dozens of kisses across his cheeks, his forehead, his nose and finally his chiseled lips. He sat immobile while I traced his face with my fingertips. We looked at each other for a long moment, his beautiful cobalt blue eyes locked with my brown ones. Ren smiled, and my heart leapt, knowing he, in all his perfection, belonged to me. Shifters are my favorite paranormal creature. Tigers are my favorite animal. So mixing them together as the base of one really interesting concept bodes very well for a story. I super enjoyed the first book in this series, Tiger's Curse. It began an addiction I don't think will ever fade. The Tiger Saga just makes me feel so happy, and Tiger's Quest is the second fabulous installment. This one picks up right where book one left off, with Kelsey heading back home to Oregon. While the tone was set extremely well here, and the beginning did a fair job of easing us back into the world and the storyline, the first 50 pages dragged. I wanted Ren back, and I wanted real romance to start playing a part instead of Kelsey going through the motions. Those first 50 pages were the only real downtime in the book for me, however, so it's not a HUGE problem. But I still must acknowledge them. After page 54 when a certain someone stumbles back into the story, things get much better. Sweetness ensues, and after not too long we're back into the romantic adventure I fell in love with in the first book. The plot is so driven and consuming, even though this book is almost 500 pages it didn't feel too long at all. The descriptions were rich, the romance well done, and the characters growing page by page. Houck's writing style did take a wee bit of time to grow on me, but now I just get lost in it happily. Kelsey is still the same old Kelsey, except she had some serious willpower going on in this book. Not the kind I generally wanted, but it wasn't too terrible to see her sticking up for what she thought was right for her. She's obviously smart and obviously able and I do not think she'll ever be my favorite character, but I don't dislike her, so that's good. Ren is still his tender, charming self. A protective tiger I love so fiercely. He goes through the most in this book and oh, how my heart hurts for him. He's such a wonderful, giving person. And Kishan. I already thought he was a sweetheart, but he keeps on growing on me. At this point, I heart him something real fierce. Judging by the way things are going, I'm going to have a real battle to pick a team. And Kishan may very well be the one I end up loving most. Yet again, the romance set my heart all kinds of aflutter. Ren is so sweet. For real, he is freaking AMAZING. He makes the romance, honestly. Kelsey isn't bad or anything, but Ren... I have a soft spot for him. And that soft spot gets stabbed loads of times when Ren does his romantic thing. 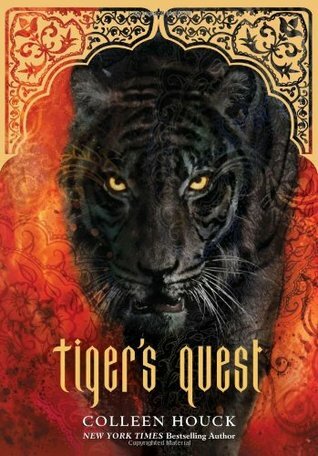 Overall, Tiger's Quest is another captivating installment in one of my favorite series. 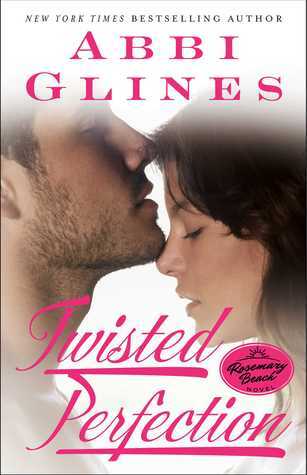 Addicting and romantic, I have no doubt I'll be re-reading this book along with the whole series many times. An enthralling story with a heartbreaking conclusion, I am so looking forward to picking up the third book and seeing what comes next for these characters I am so fond of!